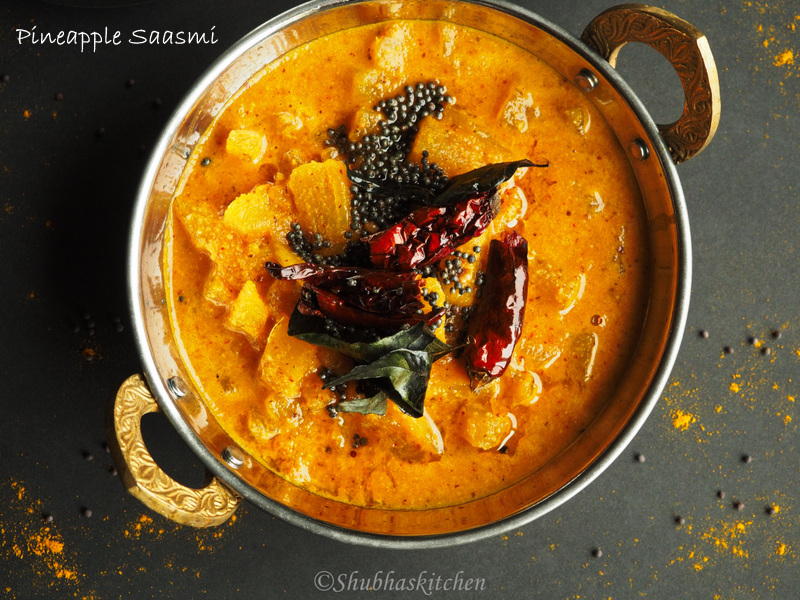 Today, I will be sharing with you all a delicious spicy, sweet and a little tangy dish prepared from Pineapples,"PINEAPPLE SAASMI " . 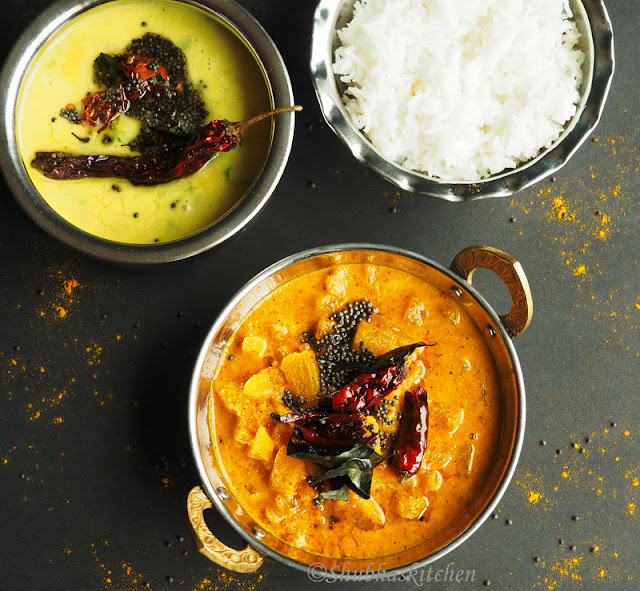 This dish belongs to the UDUPI cuisine. Saasmi means mustard in "Tullu" (a language spoken in the south canara region of the Indian state of Karnataka). 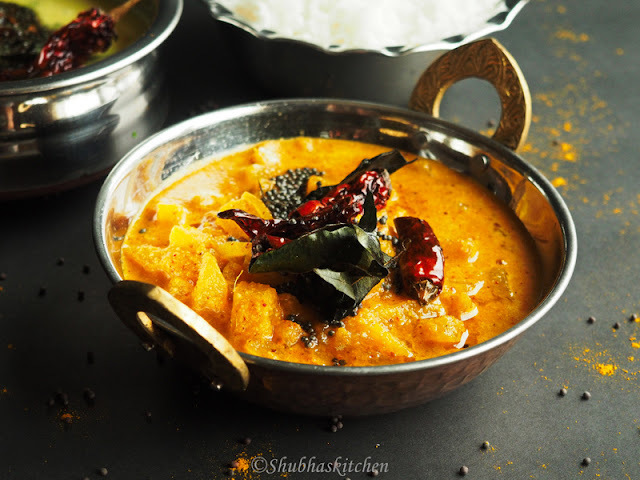 The sweetness from the pineapple marries well with the spiciness of the red chillies. 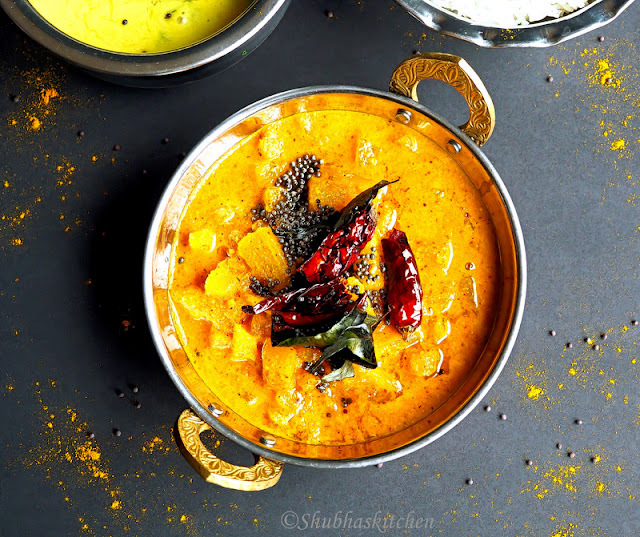 The mustard give a unique flavor to the dish while tamarind gives the necessary tang. Take the chopped Pineapple in a deep bottomed pan. Add 1.5 cups of water. Add the turmeric powder and salt.Heat it and cook on medium heat until the Pineapples are cooked. Once done, set it aside to cool. Grind all the ingredients under the "To be ground under paste" section. Add the ground paste to the cooked Pineapple. Ajust the salt if needed. To prepare the tempering, heat oil. When hot, add the mustard seeds and dried red chillies . When the seeds start to splutter, add the curry leaves and turn off the heat. Add the tempering to the prepared Pineapple mixture. 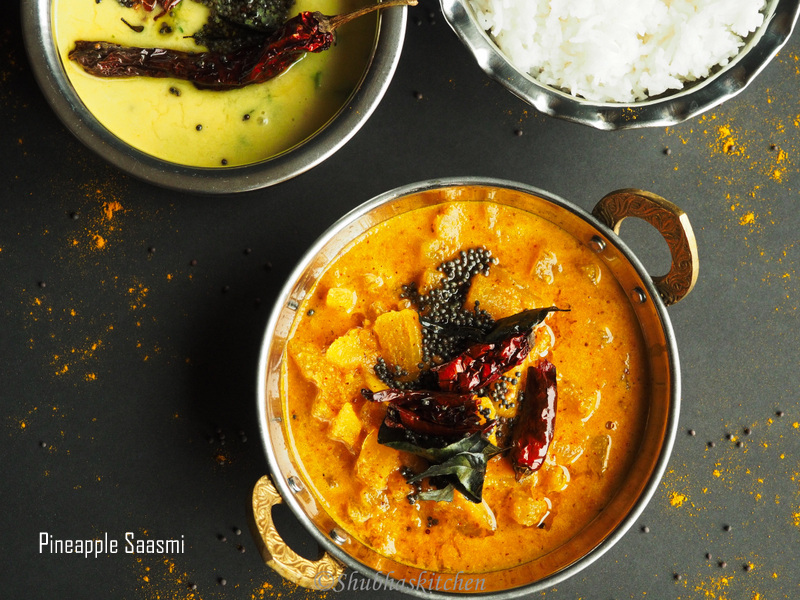 Delicious Pineapple Saasmi is ready to be served with piping hot rice or chapattis. I love this tangy dish as much as I love the amazing person you are. Keep up my virtual true friend. Saasmi is something new to me... I am book marking this recipe.